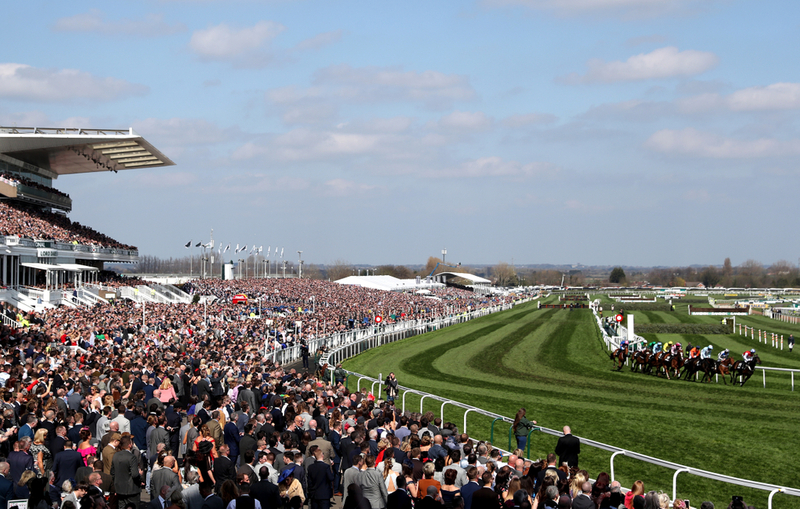 The first race of the three day festival at Aintree comes in the way of a Grade One contest with the Devenish Manifesto Novices' Chase and we have gone win the mare La Bague Au Roi to land the spoils. The Warren Greatrex trained eight year old has been one of the best novice chasers of the season being unbeaten on all of her four starts over fences and landing back to back Grade One contests in the process. She has beat some superb horses this season like Topofthegame and Santini in the Kauto Star Novices Chase at Kempton and they went on to frank that form in the RSA Chase at Cheltenham. Her latest start has also been franked when she went over to Ireland and won a Grade One at Leopardstown in a gritty performance with the second that day also going on to win nicely next time out. Arguably the form horse across the three day meeting and will be very tough to beat getting a mares allowance off the boys and also she will be fresh for not going to the Cheltenham festival. Straight into another Grade One with the next race of the day in lovely Liverpool and in the Doom Bar Anniversary 4-Y-O Juvenile Hurdle we are going with the Cheltenham Festival winner Pentland Hills. This is one of the most competitive races of the three day festival in our eyes, with plenty of horses having live chances but we are sticking with the Nicky Henderson trained four year old. This youngster has only raced twice over hurdles with the first run coming at Plumpton and he blitzed the field that day not coming off the bridle. His second run was at the Cheltenham Festival where he maintained his unbeaten record in the Grade One Triumph Hurdle and being the only horse to win a black type race in the field, we see that as the best form on offer. The third race of the day which see's the third successive Grade One on the day comes in the Betway Bowl Chase over 3 miles 2 furlongs and in this six runner field we have gone for Clan Des Obeaux. The Paul Nicholls trained seven year old has some of the leading form heading into this race winning two Graded races earlier in the season and running creditably in the Cheltenham Gold Cup. This gelding landed the King George VI Stakes at Kempton on Boxing Day with a superb battling performance beating some of the best staying horses quite comfortably. From there, he backed that up at Ascot in the rearranged Grade Two Denman Chase and again gave an even better dominant performance. He did not quite stay the trip up the hill in the Gold Cup and just wasn't at his best on the day but back to a flatter track and seeming like he has come out of the race really well, he holds every chance in another competitive race. The last Grade One contest of the day see's the Betway Aintree Hurdle over 2 miles 4 furlongs and we have gone for the Nicky Henderson trained Buveur D'Air. Another great spectacle on the first day at Aintree gives us this race, with plenty of stars on show but Buveur D'Air if staying on all fours should be a class above the rest. He has had a mixed season winning the Grade One Fighting Fifth at Newcastle on debut and looking really impressive that day but then at Kempton on Boxing day being pipped on the line in the Christmas hurdle, by his stablemate Verdana Blue which was the shock of the season. From there, he got back on track in a Listed contest at Sandown beating not very much that day. He headed to Cheltenham in his quest for his third Champion Hurdle in a row but fell for the first time in his career. Looking at how the race unfolded if he would have stayed on his feet it is easy to make a case for him that he could have gone on and won the race and it looks very much the same in this contest. He won this back in 2017 and is our selection to do the same in 2019. The Class 2 Randox Health Foxhunters Chase see's a fair few runners go to post and in this contest over 2 miles 5 furlongs we have gone for Road To Rome, Seefood and Wonderful Charm. Road To Rome was super impressive from the front at Cheltenham in the Foxhunters but could only finish fourth on the day being very tired towards the end, showing the trip was to much. Hopefully coming out of that race well and now back down in trip he has to have every chance of performing to a similar standard and before that run he had won seven in a row, respected. Another gelding at a bigger price and more of an each way angle is Wonderful Charm for Paul Nicholls. This 11 year old is highly talented and comes into this contest off the back of an easy win at Doncaster in a Hunters Chase. He will certainly stay the trip and has to be watched if getting market support on the day. The last horse in this big runner field is Seefood for trainer Justin Landry and this veteran of the game now he’s chopped and changed between hurdles and fences throughout his career with his better form coming over the larger obstacles. His most recent victory came in his latest outing at Leicester beating the odds on favourite THE LAST BUT ONE with relative ease. The handicapper seems to have been relatively generous on him too upping him just three pounds from that run and he’s a big player here. Getting back into Graded company with the Grade 3 Close Brothers Red Rum Handicap Chase over 1 mile 7 1/2 furlongs and in this contest we have gone for Brelan D'As and Diego Du Charmil. Both these horses are trained by the master handler Paul Nicholls and we will start with Brelan D'As who has ran to a fair standard all season with figures of 221513. His latest performance was a strong third at the Cheltenham festival in a competitive Grand Annual and he is only up two pounds for that run, clear opportunity to extend his smart form. The next is Diego Du Charmil who was a clever winner at the Grand National Festival last season winning over course and distance in the Grade 1 Maghull Novices Chase. Since then he has been running in better races than this against better horses, finishing second behind Altior at Christmas and then last of the three behind him again. If slotting back in nicely to this lower Grade he has a real chance off top weight. The final race of the day at Aintree on Thursday, see's another competitive contest in the Grade 2 National Hunt Flat Race over 2 mile 209 yards and we have gone for Misty Whisky and Who What When. This race is a bit of a minefield full of some classy mares and the Harry Fry trained Misty Whisky gave a striking performance last time out in a Listed contest to give her leading claims in this race. In all of her three bumpers she has figures of 211 but the manner of her win last time out gives her a better chance than plenty in this race. Another we like the look of is the Murty McGrath trained mare, Who What When. This flat bred filly is two from two so far in her career and even though she will have to step up again her latest Listed win makes her a player.